Expert author Joanne Martin examines a variety of conflicting ways to study cultures in organizations, including different theoretical orientations, political ideologies (managerial, critical, and apparently neutral); methods (qualitative, quantitative, and hybrid approaches), and styles of writing about culture (ranging from traditional to postmodern and experimental). In addition, she offers a guide for those who might want to study culture themselves, addressing such issues as: What qualitative, quantitative, and hybrid methods can be used to study culture? What standards are used when reviewers evaluate these various types of research? What innovative ways of writing about culture have been introduced? 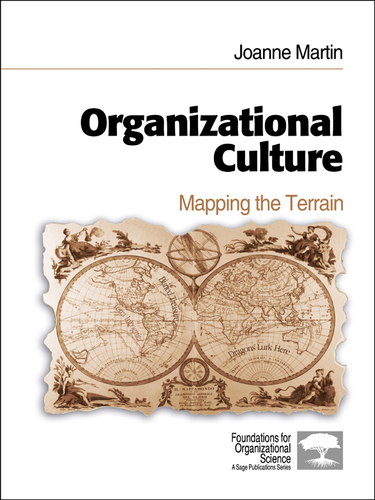 And finally, what are the most important unanswered questions for future organizational culture researchers?